When it comes to data cabling and networking in Perth, Holdens Electrical Contracting is a leader in the field. Our technicians have the knowledge and experience to provide you with a solution that perfectly fits your requirements. When you want the best in data cabling in Perth, you should contact Holdens Electrical Contracting. We have many years’ experience in hard wired and wireless networks and are committed to providing the best service for our clients. Reliable data cabling is crucial to running a successful business and a peaceful home life. Data cabling is the freeway of electrical signals that carries your information to and from the internet. There are many applications that are reliant on secure data cabling including VOIP phone systems, alarm systems or cctv, IP security and the usual LAN and WAN connections for your business or home switches and routers. Whether you require simple maintenance at your home or an entirely new installation carried out at your business premises, our highly skilled team can take care of it safely and efficiently. Give us a call today to discuss your needs. 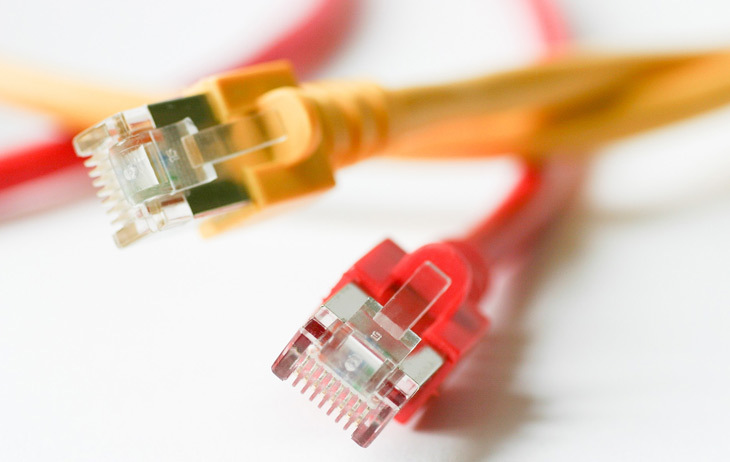 For the best performing data networks, our recommendation is normally CAT6 cabling. If you choose wireless technology and are running multiple applications ie VOIP or loading large files, you can experience delays and service interruptions. Choosing the right data network for your situation can be confusing. All our technicians have many years’ experience in network installation and are happy to advise you on the best options. Holden Electrical Contracting have experienced data technicians based in suburbs Perth wide. We are waiting for your call. In most situations we can be at home or business same day or next day. We pride ourselves on our fast response times and high service standards. Ask for a competitive quote now! As technology improves and evolves, your home and office space should evolve along with it. One of the important ways to update your home or office is through new phone points and data points. The experienced technicians at Holden Electrical Contracting have the experience and training to install new data points and phone points in the right locations at your home or office. We pay attention to the specific needs of you, your company and your building, and we stick closely to your budget. Plus, our technicians work quickly so there’s minimal disturbance to your work or home life. No matter which industry you work in, you count on data cabling in Perth to transfer data between the various computers in your workspace. To ensure that data transfers efficiently and correctly within your network, your business requires specialized data cabling in Perth from experienced technicians. Whether you’re opening a new office space or updating your current space, count on Holdens Electrical Contracting. We work with you to design the right cabling solution for your space. Our trained technicians work swiftly so you can start using your new office as soon as possible. Installing a new network is a complicated process and requires a team of experienced technicians with years of technical expertise. The team at Holdens Electrical Contracting can handle every step of the networking process for your home or business. Our exceptional networking work is featured in many businesses in the Perth area, including hospitals, nursing homes, insurance companies, factories and office buildings. With 20 years of experience working for Perth businesses, we are the company to turn to for networking, data points and data cabling in Perth. Call us today to discuss your needs.